That’s what WordPress is – a platform overflowing with plugins and themes and new ways to do neat things with your site. Plugin developers find boring ways to do cool things, cool ways to do boring things, and, best of all, cool ways to do cool things. Working with WordPress exposes us to all of these options, and that exposure can make these options seem like no big deal. But when you think about it, it’s clear that WordPress is unique in the vast choices it offers. That’s why I want to know which plugins (or other WordPress-related solutions) are your favorite. What can’t you live without? What do you think other people should really know about? In this post, I’ll briefly overview a handful of good plugins and solutions. But that’s just to get you thinking: I’d love to have you join the discussion in the comments! We’ve posted about anti-spam plugins on the ManageWP blog before. The reason for that is that spam is awful, and we all want to avoid it. Like a comic book superhero, a plugin might be able to save the day. Akismet is the premier plugin for preventing comment spam. It’s top-notch. Antispam Bee competes with Akismet. Some people prefer it. Anti-spam by CleanTalk aims to handle all kinds of spam (comment, email, form, etc.) through just one plugin. Blogging is social, so you should have a few different ways for people to get in touch with you. Contact forms are one great way to do that. But they don’t end there: forms can be used for so much more than simply dumping a message into your email. You can use forms to survey readers, collect information, or track registrations for an event. With a bit of creativity, I once used a form to make my own WordPress Mad Libs. Contact Form 7 is nearing 20 million downloads. It’s popular—for a reason. Ninja Forms is my personal favorite. You can easily create new forms, and downloading all results to an excel spreadsheet is no problem. Gravity Forms is a popular premium plugin for forms. Contact Form is quite simple and easy to set up. Jetpack Contact Form comes with Jetpack. It’s not phenomenal, but it gets the job done. Slick Contact Forms is a widget-based solution. Search engine optimization? Yes, there’s a plugin for that. When you’re trying to rank well in search engines, using a variety of tools can be useful. Different sites will take their SEO to different levels, and tutorials abound all over the web, it’s still nice to have a plugin that can help you out. SEO by Yoast is one of the most popular WordPress SEO plugins. It lets you fine-tune exactly how your post will appear in search results, and that’s just the tip of its functionality. The ManageWP blog uses it. All in One SEO Pack works to automatically optimize your site, but there’s customization for advanced users. 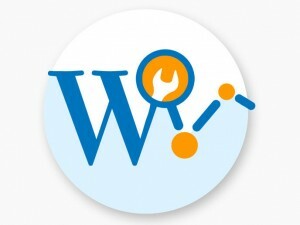 Infinite SEO is a premium plugin available via WPMU Dev. It claims to be “the most powerful premium WordPress search engine optimization plugin available on the web.” Do you agree? As you tinker with your site, trying to get higher rankings in Google, you’ll want to track how well you’re doing. That’s analytics. Of course, analytics is so much more: it refers to measurements of every aspect of your site, from keyword rankings to bounce rate to average visit length and so on. 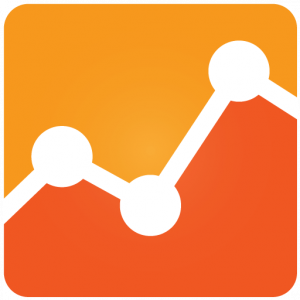 A few weeks ago, I did a post examining a few WordPress analytics options. ManageWP provides a simple way to view pageviews on your sites, as does Jetpack’s WordPress.com Stats. These tools are good for day-to-day tracking. But not all analytics approaches will involve WordPress plugins. Google Analytics is the king of in-depth analysis. If you want to dig into every metric imaginable for your site, that’s where you go. Plugins like Google Analytics for WordPress make it easy to link your website to your Analytics account. Click and StatCounter are other contenders for in-depth analysis. Social sharing drives a lot of traffic these days. One person shares a post with their Facebook friends, who shares it with their friends, and so on—that’s how things go viral. Social media plugins make it easier for users to share your content with others, which draws traffic to you. Digg Digg is a highly-recommended plugin to add social sharing buttons to your site. It displays all popular social buttons (like Facebook’s like and Twitter’s tweet), and it counts how many times users have pressed each button. 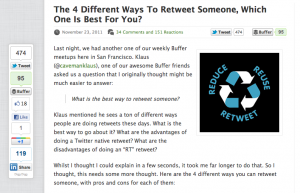 Social Sharing Toolkit is another social button plugin. ShareThis doesn’t have quite as high of a rating, but it has a lot of options. OnePress Social Locker lets you “lock” specified parts of a post or page, hiding it from the reader until he or she click a social sharing button. It’s a way to implement the “pay with a tweet” idea. Jetpack has a number of different features to help you with social media. WordPress is your own publishing platform, which is why it’s great to see plugins and solutions that help you better write and publish content. Plugins in this area range from solutions to help you manage your publishing schedule to add-ons that help you put the information you want around posts. Editorial Calendar gives you a simple overview of your blog’s posting schedule. You can drag and drop posts in the calendar and even edit posts right then and there. Fanciest Author Box gives you professional, informational author bios to accompany each article. Edit Flow smoothes the process of working with other people to publish WordPress content. Distraction-Free Editor: This is not a plugin, but it’s a fantastic solution integrated directly into WordPress. Just press alt+shift+w on your keyboard when editing a post, and you get a fullscreen editing option. I personally love this—it makes content creation in WordPress a lot easier. Everyone wants to protect their site from viruses and hackers. One innovative app for that is Clef, which integrates with WordPress and creates a digital signature on your phone that then replaces the need for usernames and passwords. Relevanssi is the most famous—and, I would argue, best—plugin to allow better searches in WordPress. Going crazy like a small, sweet-toothed child in a very large candy store and installing too many plugins can slow your site down. It’s something to be careful of. But either way, there are plugins out there that exist solely to up your site’s speed. W3 Total Cache has a decent rating on the WordPress.org Plugin Directory. WP Super Cache has been downloaded by six million people, so it’s clearly doing something right. WP Rocket is a premium caching plugin. A few weeks ago, the ManageWP blog ran a story about them. WP Smush.it automatically optimizes all images on your website, seeking to cut down on image size so that your pages load faster. By now it’s pretty clear that WordPress has a lot of awesome plugins. But I know that I haven’t touched on every stellar plugin out there. There are wonderful plugins that I didn’t mention. There are even whole types of plugin that I didn’t have time to delve into: forum functionality, site backups, email list extensions, image slideshows, and links. I don’t know them all. That’s where you come in. Let’s start a conversation. What are your favorite plugins or solutions, WordPress extensions that you couldn’t live without? Why? Let us know in the comments below! I just found your blog because I was looking for a new plugin for my site. I am amazed at how many different blogs you cover on your site, I have not heard of a lot of them. Thanks for this information! I use it on all my projects because it’s such a massive time saver. Instead of installing plugins one at a time I just set up a collection and install them all in one go. Hire Dedicated Part time, Full time wordpress developers for wordpress theme/template or plugin/widget development. Love the list, some of these plugins I never heard of but I’ll give them a try! In the Social Media section I would recommend either AddThis or, what I currently use and love, ShareAholic, which comes with analytics and more customizable icons and positioning. Plus, they have a great customer service, usually responding within 6h or so if you want more stuff implemented. Thanks for those suggestions, Stefan! I think I’ll include those choices if I ever do a post on social media plugins. Thanks for mentioning our Fanciest Author Box. I hope your readers find it useful. I also highly recommend Wordfence security plugin. It works right out of the box, has no compatibility issues with WordPress themes and plugins and gives you peace of mind. It’s a great plugin, Dragan. James (several comments below) also recommended Wordfence, so I might have to try it out sometime soon. Thanks for commenting! I just want to add MotoPress plugin – visual builder for WordPress http://www.getmotopress.com/.It creates and edits posts and pages quickly and without any code and tags. The keyword to describe this plugin is simplicity. Thanks for pointing us towards MotoPress, Emily! Thanks for the suggestion, Curt! There’s always innovation in the WordPress community, which is awesome. I love zotpress, https://wordpress.org/plugins/zotpress/. The plugin uses free software (or browser plugin) Zotero to bring your bibliography onto your website. I use Zotero not only for my scientific paper an citation collection but also as my very handy link collection. I cite books, papers and furthor links on my website, and they are always up to date as zotpress synchronizes with my Zotero collection. This is a neat little plugin. Thanks for letting us know about it, Wolfgang! re: the first comment: I’ve had too many plugin/theme compatibility issues with Wordfence myself, but we also had plenty of issues with Better WP Security (which is now obviously iThemes Security) screwing up our .htaccess files from time to time; it would stop rewriting the file partway through its process, which would take down the entire site on our client until we went in to fix it manually. We’ve had a lot of good luck with ‘All in One Security & Firewall’ as our go-to security plugin of choice, though. Interesting–thanks for taking the time to share your experiences with these security plugins, Dave! WORDFENCE has replaced iThemes as the go to security plugin on most of our client sites ever since some of them have experienced lockout issues with the latter. PIWIK – Open source analytics allowing you to retain control of all of your site’s traffic data instead of having to share it with Google. Great suggestions, James! Thanks a bunch for taking the time to read the article and comment. Quickcache – Easier to set up than most caching plugins, great for newbies. BulletProof Security – Protection from multiple threats. Post Snippets – A snippet library of text, HTML or PHP code to be used in posts. All the above are free, I’ve also tested Swiftype search and I have been impressed. Thanks for the quick list of quality plugins! Marvelous write-up and worthy of a revisit to sandbox these plugins. Check out these plugins, I know you’ll find them worthy. When Swiftype Search was in beta, I enjoyed using that plugin. Also, you forgot Analytics360, which I think is a huge one! Another really awesome plugin, that should get more spotlight, is, myCRED. That’s all, thanks for your attention and keep up the good work brothaman. Analytics360 is a popular plugin–thanks for catching that. And Swiftype Search looks quite promising; I think that I’ll have to try it out. Thanks for your great comment!